You recently started your PhD full of enthusiasm. However, an uneasy feeling creeps up whenever you walk past one of the senior PhD students, who are just writing up. Do you hear them say, “If I knew that before” or “I wish I would have thought of” and think for yourself, “I hope this doesn´t happen to me, I hope I can get around their mistakes myself.” A PhD is too complex to ever be without complications. However, in this course we´ll try to work on our “starter package” to survive in this new environment and to get a broad set of experiences and networks from your PhD. 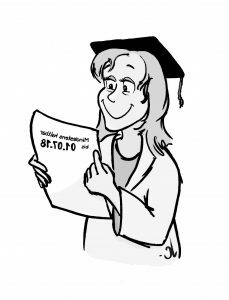 Which qualifications to seek during your PhD? Can I determine my development?